I don’t fear spiders and while the mere thought of a snake disgusts me, it doesn’t scare me. I’m actually scared of other stuff. According to Wikipedia a phobia is an irrational, intense and persistent fear of certain situations, activities, things, animals, or people. The main symptom of this disorder is the excessive and unreasonable desire to avoid the feared stimulus. When the fear is beyond one’s control, and if the fear is interfering with daily life, then a diagnosis under one of the anxiety disorders be made. I fear heights. Even when I watch a scene in a movie my mouth goes dry and my toes start to tingle and my heart starts beating faster than normal. Remember that scene in Pretty Woman when Julia Roberts is perched right on top of the penthouse balcony? My mouth has gone dry just thinking about it and now I’m shaking at the knees. I fear being drowned. This is thanks to that git Mr. Waweru in primary school when he pushed me off a springboard at the swimming pool in school and ensured that I feared putting my head under water for the rest of my life. That is NO WAY to teach a 7 year old swimming. He has scarred me for life. I fear being suffocated. Yes I know there are fancy names for all my fears but I’ve got to explain them properly. I cannot sleep with my feet under the covers no matter how cold it is and I cannot wear socks to bed. I feel if my feet can’t ‘breathe’ then I’ll probably suffocate to death. Also I have a tendency to hold my breath in an elevator. I have no idea why I do it. I just do it. I got stuck in a lift once with someone with the WORST ever B.O. and I nearly puked the contents of my intestines in the elevator. Maybe it stems from that. I don’t know. I think these are my main fears. 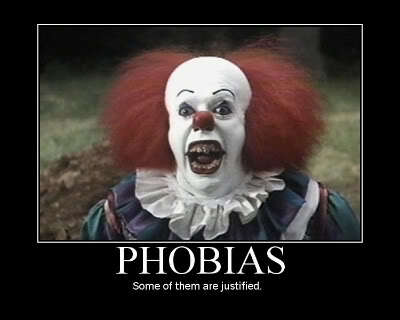 I’ve decided to go online and look into a proper list of phobias and see what suits my personality. One thing I don’t fear is attention…! I fear small rooms. getting locked in small rooms that is. very hard for me to be in lifts for a long time. I prefer using stairs where possible. also I have this recurring dream where I’m trapped in a small box and it somehow finds its way into the ocean where I drown stuck in that damn thing.Hope that never happens. I used to have a fear of heights. Somehow that went away when I went to thorpe park and went on one of the rides, can’t remember which one or was it bush gardens? I have a phobia of snakes. I’ve been told eating a cobra should sort that out. Apparently it tastes like chicken. I thought I used to have a phobia of needles. Turns out I didn’t and now I love having needles stuck in me drawing blood!! I also have a phobia of growing old alone!! I don’t want to be surrounded by people that don’t matter. I just want that one person who just does something inside you. you know where the dil goes kuch kuch hota hain. I’m not looking forward to having a mid life crisis that apparently all men go through. Really enjoyed your list! We seem to have a couple of phobias in common. We should make a movie and become rich and famous or just bake a cake I guess. show help you leave Dark Beauty Castle in Disney Epic Mickey.